iMusafir.pk is the leading traveling and tourism company to entertain you with best packages and deals and help to enjoy your tours to the fullest. 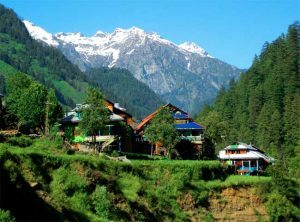 iMusafir.pk brings the best Naran Tour Packages to serve its customers in best prices available.The Kaghan Valley is a valley in the north-east of Mansehra District of the Khyber Pakhtunkhwa Province of Pakistan. It pulls in numerous tourists from around the globe. The valley expands 155 km, ascending from a height of 2,134 feet (650 m) to its most astounding point, the BabusarPass; at 13,690 feet (4,170 m) the area is Alpine in topography and atmosphere, with woods and glades ruling the scene underneath crests that scope more than 17,000 feet. 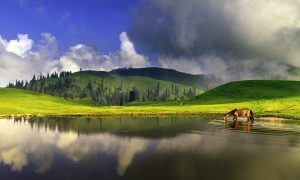 Kaghan is a gem among the numerous lovely valleys in the Mansehra District of Hazara. This 160 kilometer long valley is most famous summer occasion spots for both Pakistan is and also outsiders. The valley highlights pine backwoods, snowcappedknolls, perfectly clear lakes and cool mountain streams. 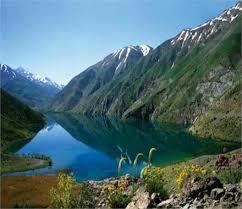 Kunhar River, the principle highlight of the valley, is acclaimed for its trout. Settled along the banks of the riverare the towns of Balakot, Paras, Mahandari, Kaghan and Naran. The nearby individuals are well disposed and basic. A get-away in Kaghan Valley is an extraordinary affair. Our customized package tours are intended for unwinding and to invest your recreation energy with your friends and family in most essential way. Lake Saif-ul-Maluk: is considered by numerous guests to be a fundamental stop when going by Naran. Situated more than 10,000 feet above ocean level and encompassed by mountains, this lake was named after an Egyptian ruler. With its quiet surface Lake Saif-ul-Maluk mirrors the encompassing mountains in its waters, making a stand-out area. Found approximately five miles from the city it is a hour ride by Jeep or a two hour climb to see Lake Saif-ul-Maluk.